We are delighted to have been in the running once more for a Central Region LABC Building Excellence Award, reaching the top four in the educational projects category. 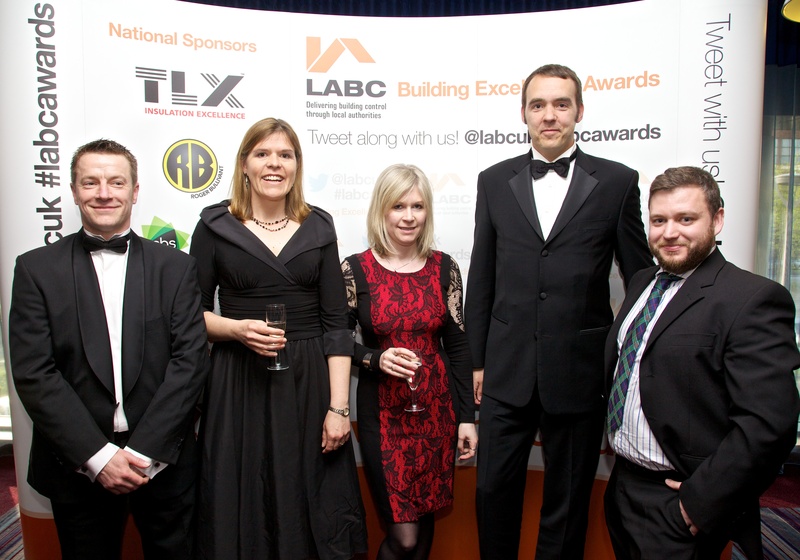 LABC is a member organisation representing local authority building control officers in England and Wales, and each year they run a series of regional awards to recognise high quality design and construction work. This is the third year running that PCMS Design has been nominated for an award. Two years ago, our design and project management of a first floor extension to The Lawns in Biggleswade appeared in the ‘Best Sustainable Building’ category, and last year’s entry in the ‘Best Educational Building’ category was for the creation of a new reception classroom for Laburnum Lower School in Sandy. This year, PCMS Design was once again nominated in the ‘Best Educational Building’ category for the design and project management of a new single storey free-standing reception classroom building at Southill Lower School near Biggleswade. 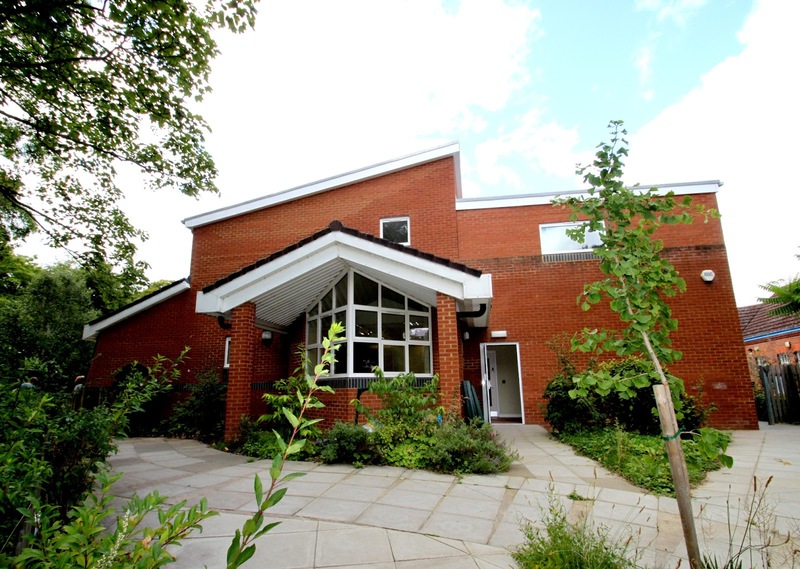 The School is in a Conservation Area, and therefore had to follow strict design guidelines on a site with limited space. The attractive brick and tile building has high levels of insulation and is easy to run and maintain. The awards event took place at Jury’s Inn, Milton Keynes on 16th May when the achievements of local firms striving for excellence in construction projects were recognised. This entry was posted in Building Excellence Awards, LABC, School Construction, The Lawns Early Excellence Centre on May 20, 2014 by admin. We were very pleased to be named as a Finalist in the LABC Central Region ‘Best Sustainable Building’ category this year. This was for our design and project management of a first floor extension at The Lawns Early Excellence Centre in Biggleswade – see our April post for full details. This entry was posted in building control, Building Excellence Awards, extension, LABC, school extension, sustainability, The Lawns Early Excellence Centre on June 28, 2012 by admin. We were very pleased to hear this week that a recent PCMS project has been shortlisted for the ‘Best Sustainable Building’ category of the LABC Building Excellence Awards in the Central Region. 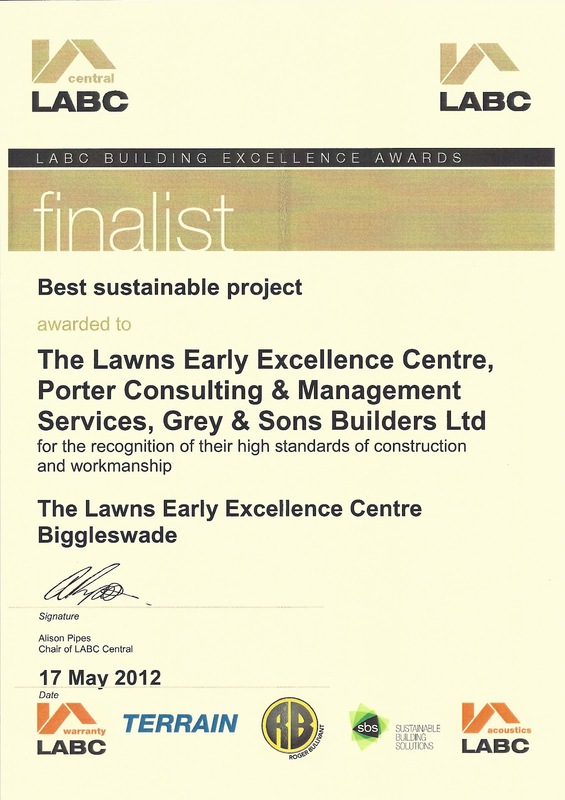 This entry was posted in Building Excellence Awards, LABC, The Lawns Early Excellence Centre on April 26, 2012 by admin.